The Governing Body of Bridgewater Primary School met on Monday 17th July, together with the Governing Bodies of the four other schools involved, to hear a presentation from the NUT staff representative at Ashlyns and a presentation on the results of the consultation. The Governing Bodies had received the detailed data from the consultation survey over the weekend. Following the presentations, the Governing Body considered the outcome of the consultation with the school’s stakeholders on the proposal for the school to convert to academy status and co-found the Berkhamsted Educational Trust. 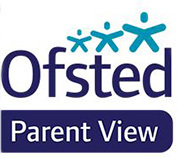 The Governors would like to thank all those parents, carers, staff and members of the community who attended the consultation meetings and/or completed the online survey. The range of insightful and challenging questions and feedback was considered in detail and has been really helpful to governors. There were more responses in favour of the proposal than against it. Governors noted that response rates were low but they understand those response rates to be broadly in line with other consultations of this type. Following the consultation, the Governors concluded that there was no material, significant level of objection to the proposal, either specifically at Bridgewater Primary School or within the town as a whole. The Governing Body has therefore resolved to proceed with the conversion of the school to academy status and to co-found the Berkhamsted Educational Trust with the other four schools involved. As we have previously explained, all five schools wish to continue to work collaboratively with the Church schools in the town. The Governing Body noted that there were some issues raised during the consultation, either new questions or points of clarification, about which we thought it would be helpful to provide some more information to parents, carers, staff and members of the community. We have therefore agreed with the other schools to update the two consultation Q&A documents. The new information is shown in colour blue to distinguish it from the first draft. These revised documents are contained within the consultation report published on the school’s website. You will also find on the school's website a draft of the Schedule of Delegation agreed by all the schools' Governing Bodies which sets out how governance of the Trust will work. Please note that this is, and will remain, a working document and will be subject to review. If you have further questions we are keeping open, during the summer, the consultation email address academy.consultation.survey@gmail.com. However, please note that any further questions and comments will be dealt with in September, once the school holidays are over, rather than on a piecemeal basis. The next step is for the school to complete the various legal and operational tasks necessary for conversion. Based on updated information received from the Department for Education with regard the processing of applications and the Local Authority capacity to manage conversions, the target date for conversion has been adjusted to January 1st 2018.